While Vincent van Gogh used his ever popular technique of striking colours and furious brushstrokes to paint all of his café paintings, they are still unique in their own ways. After living and studying in Paris, and meeting many impressionists, Van Gogh’s style became less moralistic, more lighter and rife with colour. Some of the paintings from this genre include Café Terrace on the Place du Forum, the Night Café, Brothel, and Dance Hall in Arles. 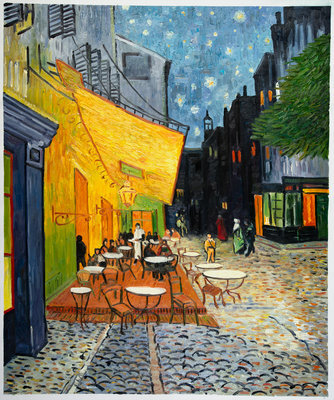 One of the most famous paintings done by Vincent Van Gogh is definitely Café Terrace on the Place du Forum. 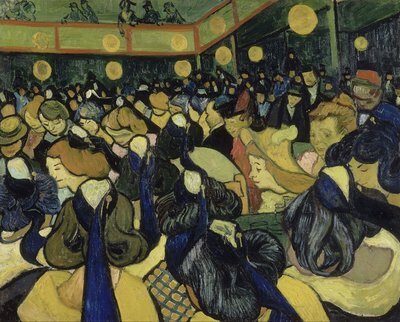 Van Gogh mentioned this painting to Eugene Boch, claiming that he had painted a café on Place du Forum where they used to go out. Interestingly enough, this painting by Van Gogh is not signed, even though he talked about it in three different letters. The reason why Café Terrace stands out among all the paintings is because all the lines of composition in the painting are drawn inward by the artist, and they point towards the horse carriage in the centre. Surprisingly, the painting imparts a sense of peace. Overall, it is a dark painting, and yet, black is not used anywhere. 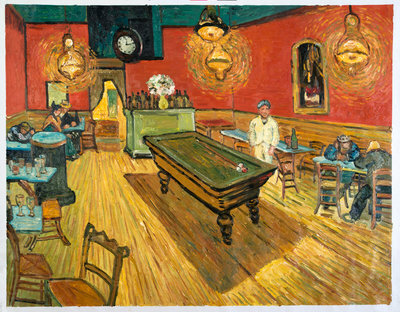 The Night Café painting, on the other hand, has its title inscribed just below Van Gogh’s signature. It depicts the Café de la Gare which was run by Joseph-Michel and Marie Ginoux. Gauguin painted the Night Café at Arles at the very same location, and Madame Ginoux posed for it as well. Van Gogh’s version tries to depict the terrible passions of humanity, but Gauguin’s version depicts both isolation and spirited socializing. While Van Gogh thought it was one of his ugliest works, the rest of the world thinks otherwise. 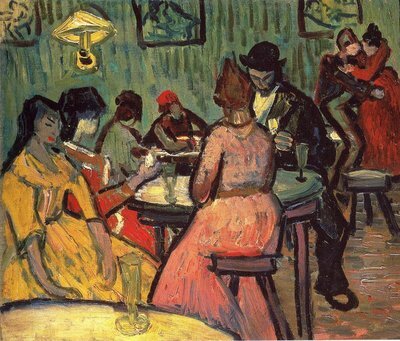 In fact, the Night Café is one of the masterpieces by the great artist. The talented Dutch and world artists at Van Gogh Studio created oil reproductions that look and feel just like the originals. With a 100% money back guarantee, you can be assured of the fact that you will get exactly why you paid for. 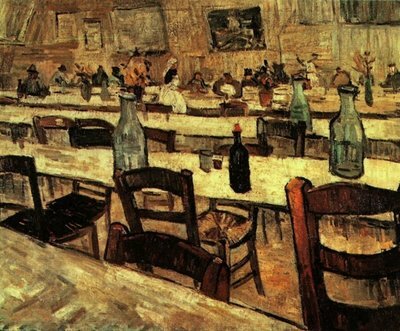 If you would like to own a Café painting by Van Gogh, contact us today and we would love to help you out.